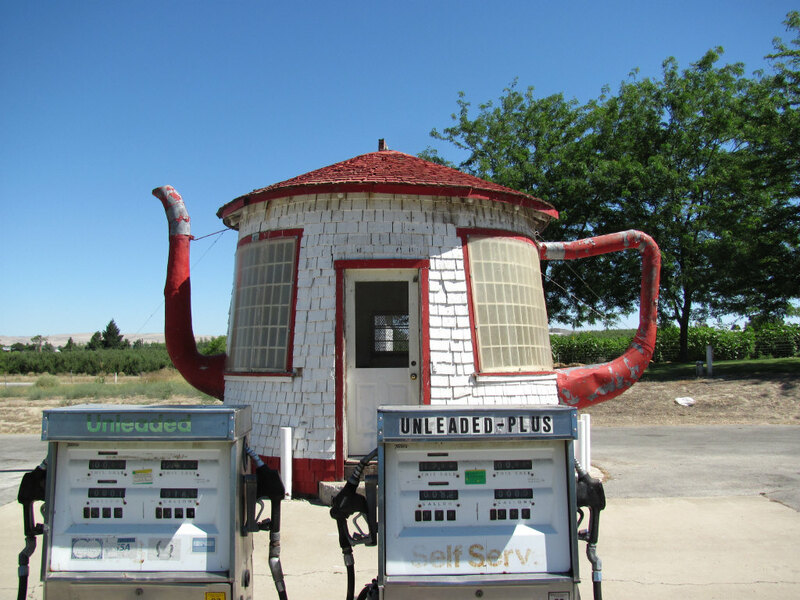 The filling station that looks like a teapot near Zillah, WA. That's east of Yakima. I was here in 2007 also. 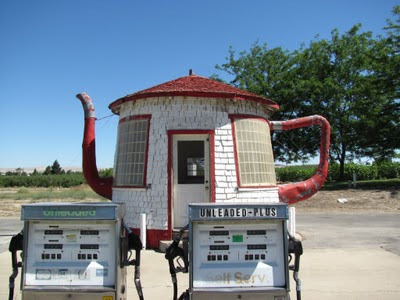 It's abandoned now, but I hear that town folk are hoping to restore it for historic value. Built soon after Teapot Dome scandal in 1920s. It's around 100 degrees. Staying tonight at an air conditioned motel in Prosser.